The Dexter and The Reverse! The Dexter Jackson Memphis classic has come and gone. I was really fortunate to be able to win my figure class. If you have been following me for a bit, you know that the past few years have been full of 2nds, so it was nice to finally win one. 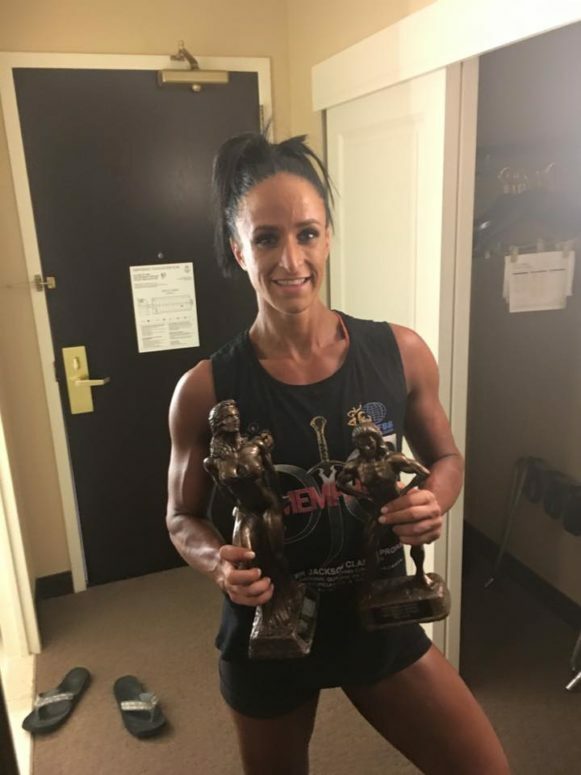 Diet: Upon completing the competition, I immediately went back to what my diet was at the four week out mark with an additional meal added to it, which has thus far resulted in a mere 2lbs of weight from stage. I am really happy with that, as stage weight was a very depleted, dry Annie. The carbs make training not feel like hell, and I’m really enjoying my time back in the gym. Cardio/Training: I’m taking 2 days off per week now as opposed to one when it comes to resistance training. My cardio has been the exact same as it was the week of the show, and I will peel off 5 minutes each session each week. So, everyday this week, I woke up and did 45 minutes of fasted cardio. Next Monday, I will get up and do 40 minutes, the next week will be 35, and so on until I’m doing minimal cardio. Goals: So, obviously after each show, you evaluate what you would like to do better next time. I will spend this off season hammering my back and shoulders, while trying to bring my legs down a bit. I will likely stay in figure for the foreseeable future, and have some adjustments to make in order to fit into that class.